The Arizona Chapter of the Hospitality Sales & Marketing Association and their Special Events Committee invite you, your colleagues, customers, family, and friends to join in an evening of FUN! HSMAI's "Amazing Hospitality Challenge" is a great way to unwind from the busy day and mix and mingle with other industry professionals. 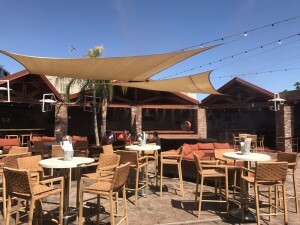 Join us on the patio for a "backyard experience" at one of Old Scottsdale's hippest bars for an evening that includes nibbles, drinks, fun teambuilding challenges sponsored by Event Team .... AND great raffle prizes. Dress casual and comfortable. Registration fee includes two drink tickets. To donate a raffle/silent auction prize, click here. Our Community Outreach Committee will be collecting donations for our 2019 "Charity of the Year" - The Arizona Pet Project. We will be collecting pet food for both dogs and cats, wet and dry accepted. ALL pet supplies welcome, even used items, to include old pet toys, beds, etc. Welcome to Boondocks, Your Scottsdale Patio Bar. We are Nestled in the Heart of Old Town Scottsdale creating a comfortable environment every day for everyone. 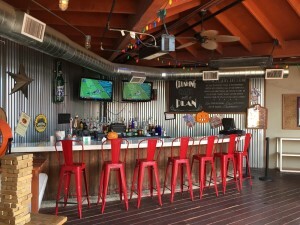 Boondocks takes Pride in its reinvented Comfort Style Food and variety of Eclectic Beers, Spirits, and Wine. Join the Boondocks Backyard Experience with our Open Air Grill, and Outdoor Fun with all your Friends. One of Scottsdale's largest climate controlled patio consists of comfortable areas for any size group. If you want to spice it up a little with some active interaction we have the best Bar Games in Scottsdale: Pool Tables, Bag Toss, Dart Boards, Ping Pong, Basketball Pop Shot, Skee-Ball, and select arcade games. Game On! Looking for Live Music in Scottsdale? Then join the Boondocks Backyard Experience with entertainment ranging from acoustic sets to local bands and national acts. Visit https://BoondocksAZ.com for more information. "How to Ride the Wave for Revenue Success"
Our panelists will be discussing revenue management, best practices and using data to drive decisions, global and local industry outlook. In conjunction with our May meeting, we will be collecting towels and blankets for our 2019 Charity of the Year - the Arizona Pet Project. In addition, we will also be collecting plastic bags for Kitchen on the Street to use for their "Bags of Hope" for hungry children. You'll find AC Phoenix Biltmore in the heart of central Phoenix, conveniently close to the city's international airport. Inspired by the rich, timeless Arizona desert landscape, we welcome you in with a sophisticated interior, courtesy of RSP Architects, local art work, and sophisticated comfort. Start your day at the AC Kitchen with egg tarts, freshly sliced prosciutto and artisan-cured meats. Active travelers can indulge in a morning swim or a workout in our fully equipped gym. Surreal hiking trails at nearby Camelback Mountain as well as world-class golf can be found only minutes from the hotel. Over 70 high-end boutiques at the Biltmore Fashion Park can be explored at your leisure just a short walk away. 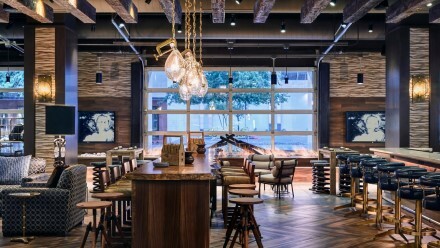 When you return to the hotel, our barcierge will greet you with artfully crafted signature cocktails and local craft beer in the AC Lounge paired with European-inspired tapas. Whether you're traveling for business or pleasure, we welcome you to a thoughtfully designed and uncomplicated experience at the AC Phoenix Biltmore. with over 400 hospitality and meeting industry professionals and their guests ... so much fun for such a worthy cause! 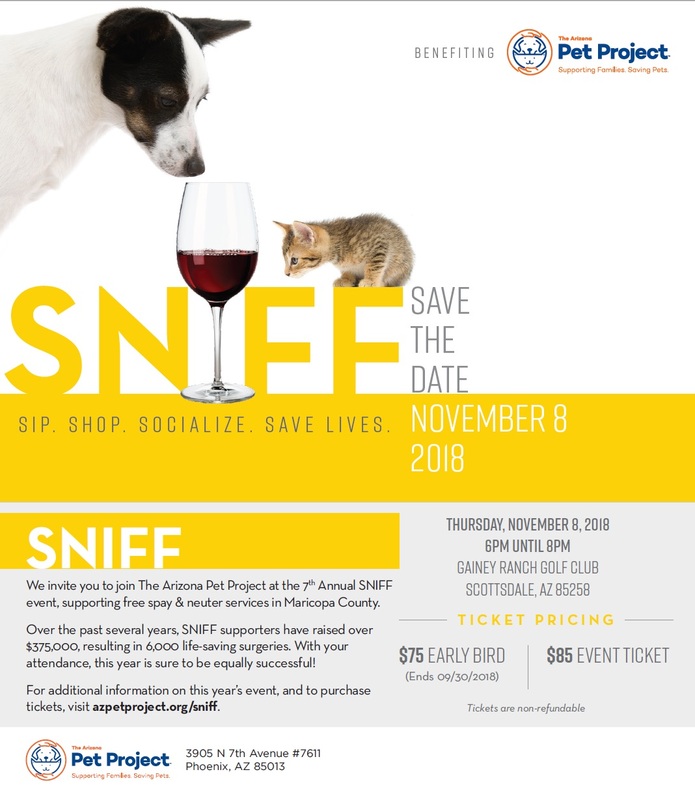 A portion of the proceeds from this event will go to our 2019 "Charity of the Year" - The Arizona Pet Project AND to our Arizona Chapter of HSMAI to help support our association's mission and our continuing efforts to provide quality continuing education and scholarships for those professionals currently in the hospitality industry and those who are pursuing a career in the field. The Resort is offering a special overnight rate of $99.00 per room. Attendees may make reservations by calling 800-309-8138. Be sure to mention the HSMAI Chinese Auction. Valet parking is available on the east side of the hotel by entrance. The Hospitality Sales and Marketing Association International (HSMAI) is an individual membership organization with more than 7,000 members worldwide. HSMAI is committed to growing business for hotels and their partners, and is the industry's leading advocate for intelligent, sustainable hotel revenue growth. The association provides hotel professionals and their partners with tools, insights, and expertise to fuel sales, inspire marketing, and optimize revenue through programs such as the Adrian Awards and the Revenue Optimization Conference. HSMAI is an individual membership organization comprising more than 7,000 members worldwide, with 40 chapters in the Americas Region. More information is at www.hsmai.org. The Arizona Chapter, the thirds largest chapter in the U.S. and recently celebrated its 50th Anniversary in 2018. The chapter was honored as the 2015-2016 Chapter of the Year and is the recipient of the most "Chapter Awards of Excellence" in the history of HSMAI. Membership is 200+ members strong, and is comprised of General Managers, Directors of Sales, Sales Managers, Revenue Managers, and Student Members. The chapter offers members a variety of education programs, community volunteer opportunities, leadership and professional development opportunities and a variety of networking and special events. 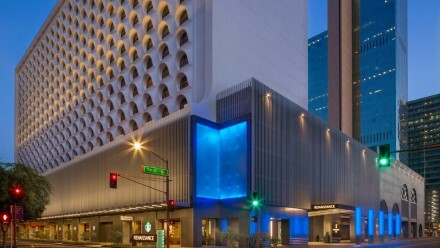 Immerse yourself into the vibrant culture of Phoenix by staying at Renaissance Phoenix Downtown Hotel. After experiencing the unique style of our newly reimagined lobby, unwind in your perfectly appointed accommodations, which seamlessly blend modern sophistication with second-home comfort. Upgrade to a hotel suite for optimal space or a Club Level room for exclusive Club Lounge access. Keep your workout routine in our modern fitness center or relax in our heated rooftop pool. Before a day exploring downtown Phoenix or business, start your day with a coffee beverage from our on-site Starbucks® or a tempting breakfast from Marston's Cafe. For a taste of the Southwest, visit Dust Cutter, our hotel's signature restaurant. Hold your next meeting or special event with us. Our hotel boasts over 51,000 square feet of flexible event space. Along with our proximity to the Phoenix Convention Center, attendees will appreciate our hotel's ideal downtown location near Chase Field, Talking Stick Resort Arena and more. Find more information at www.marriott.com. The Chinese Auction was conceived in 1982 by the Arizona Chapter of the Hospitality Sales & Marketing Association Int'l. This event has gained national recognition and has been adopted by numerous HSMAI and MPI chapters through the U.S. as their major fundraiser. The auction was originally given the Chinese theme due to the location of the event - the former China Doll Restaurant in Phoenix. Over the years, the auction has grown in size and has moved its location to larger venues. The Chinese theme has remained. The idea of the auction is to provide each guest with a list of prizes (such as dinners, golf outings, gift baskets, services, and hotel/resort stays) and a numbered stick. Each table is supplied with a bucket that is placed in the middle. Starting with the number one item, the auctioneer describes that item and asks the guests who are interested in bidding on this item to toss a quarter or quarters in the bucket. The guest then holds their stick in the air. The auctioneer calls out the numbers that are held up. A gonger (who cannot see or hear what is going on) is responsible for hitting the gong after a few seconds. The last number called out when the gong rings has won that prize and goes to the stage to claim it. This sequence of events goes on throughout the evening until all prizes are gone. Over the years, a silent and live auction have also been added to the event. This event has won numerous awards including "Stars of the Industry" Awards from the Arizona Lodging & Tourism Association, "Awards of Excellence in Association Management" from the Arizona Society of Association Executives and several HSMAI International Awards. Don't forget to bring your quarters for bidding. Come ready to have a great time. This is the perfect event to bring family members, friends and co-workers too. "ELIMINATING MEDIOCRITY ... SQUASHING NEGATIVITY"
Join HSMAI members and guests as we kick off 2018 with a bang! One of the biggest challenges facing leaders today is the lack of motivation and negativity many people feel towards their work and lives. Our world's negativity is at an all time high and you have the unique opportunity to create a safe haven. The C.A.V.E. people (Constantly Against Virtually Everything) are destroying your organization's results and worse yet, its potential. As a leader, you can't motivate people, you can only inspire them to turn on their motivational switch and coach them to improve their skills and your processes to move beyond the ocean of mediocrity. 72 percent of the average organization plays at the mediocre level. Knowing how to improve their performance is a critical growth strategy and will be key to your competitive strength and brand's relevance. When is now a good time to think differently about turning on your team? People are not inspired by your financial performance; they are inspired by how they contribute and what their work stands for. It's never been more important to strengthen the heart and soul of your organization! The Challenge of Complacency: Is your culture at the heart of your organization? Join JC as he delivers insights, statistics, researched-based IP and recommendations on how to inspire in new ways and energize your organization to play "all in." JC Thompson is Chief Disrupter and Executive Vice President for Aspire. He provides engaging, interactive instruction and coaching with comprehensive, real-world learning and has a delivery and approach that can only be described as "Fun with Purpose!" His thoughtFULL and easy-to-apply tools result from direct experience in development and management. JC is an award-winning leader who holds a degree from Arizona State University in Hospitality, and has spent the last 16 years in various aspects of the service industry where he launched and executed innovative customer experiences for global brands. JC educates and inspires people at all levels, from the front-line to the C-Suite. He consistently works to stay on top of the latest trends and newest technology in order to stay ahead of the curve, ensuring the information he presents is on the cutting edge. He is certified in sales, leadership and coaching disciplines and is an award-winning leader and an accomplished speaker. 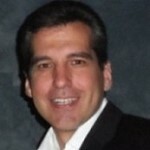 His varied experience includes work with luxury hotels, senior living organizations and in healthcare. More information on Aspire is at www.aspiremarketing.com/aspire. Beautifully reimagined to reflect the beauty, warmth and community spirit of the Sonoran Desert, The Scottsdale Resort at McCormick Ranch welcomes you to a secluded oasis. Where conversations flow and connections are made, you'll discover a AAA Four Diamond retreat for the senses. Celebrate the pampering indulgence of Luna Spa. Find inspiration throughout our wedding and event venues. Savor the locally-sourced creations of artisan chefs. Schedule a sunrise tee time on nearby McCormick Ranch Golf Course. Or, simply enjoy the sun-drenched mountain vistas poolside. However you wish to spend your days, your next unforgettable experience awaits just off the beaten path. More information is at www.destinationhotels.com. "HOW TO PUT THE SIZZLE IN YOUR SALES!" Do you want to maximize your ancillary income, such as room rentals and menu upgrades? Do you listen to your hospitality sales team on the phone and just know their closing rate could be higher? Do you feel like they are leaving money on the table? When observing an event or banquet, do you see missteps in your operational systems that you can't identify or put your finger on it? In this interactive collaborative session, you will learn solid sells skills and tips designed to maximize revenues. Your closing rate will be higher as you will be armed with the right questions to ask an inquiry. No longer will you feel as if you are leaving money on the table. How to position yourself and your venue/property for a customized site visit that sells. How to conduct a site inspection with information that is customized to the meeting/event professional, full of relevant and actionable recommendations. How to use probes, listening, feedback, and a few key questions to be able to have a real sales conversation with a client to increase sales closings. The HSMAI Community Outreach Committee will be collecting used towels and blankets for our 2018 Charity of the Year - SNIFF AZ. Check out this great organization at http://www.sniffaz.org. 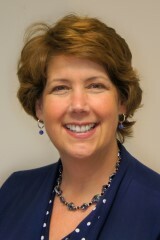 Lynne Wellish, CMP, CHSE, CHO is an award-winning speaker, consultant, trainer and hospitality educator. She has a zany style with lots of humor. A graduate of the University of Nevada - Las Vegas in Hospitality Management and an adjunct faculty member at Scottsdale Community College in the Hospitality College, Lynne has over 30 years in the industry in a variety of positions. Lynne won the bronze Azbee Award for her article, "Stop the Creep" - a How-To Article from the American Society of Business Publication Editors. Lynne won the MPI Arizona Chapter Mentor of the Year Award and the MPI Arizona Chapter Edward E. Scannell Award for Lifetime Achievement. Lynne was instrumental in executing and overseeing MPI's 2016 Volunteer-A-Thon, which received the Arizona Society of Association Executives Membership Award. In 2016 the MPI Arizona Chapter was recognized with the MPI RISE Award for the Volunteer-a-thon. Lynne's true passion is coaching and mentoring people in our industry. 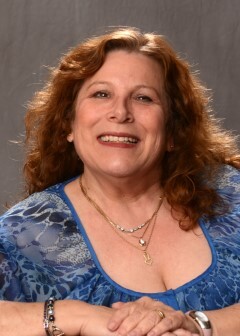 More information on Lynne at: www.lynnewellish.com. Liberty Wildlife envisions a time when wildlife is recognized as an integral part of our natural world, and a precious natural resource, to be protected and preserved. 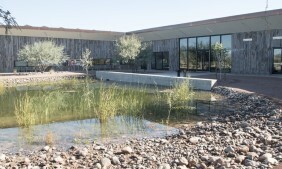 Liberty Wildlife envisions being a permanent community resource, a place to instill compassion and stewardship in young minds and a place to reconnect the public with the beauty and benefits of native wildlife and habitat. Liberty Wildlife envisions a time when the community as a whole participates in the safekeeping of the natural world. To nurture the nature of Arizona through wildlife rehabilitation, natural history education and conservation services to the community. The Arizona Chapter of the Hospitality Sales & Marketing Association and their Special Events Committee invite you, your colleagues, customers, family, and friends to join in an evening of FUN! The HSMAI "Spring Fling" and Industry Networking Event is a great way to unwind from the busy day and mix and mingle with other industry professionals. Join us poolside for an evening that includes nibbles, drinks, teambuilding games sponsored by Event Team .... AND great raffle prizes. Dress casual and comfortable. Registration fee includes three drink tickets. For scenes of the fun at our 2017 event, click here. Maya Day + Night Club, located in the heart of the entertainment district in Old Town Scottsdale, is the ultimate entertainment Day/Nightclub in the Southwest. The world's biggest and best DJs, premier VIP service and unforgettable events converge in one vibrant space. For more information go www.mayaclubaz.com. "The Brand Y.O.U. Formula - How to Jumpstart, Rebrand or Accelerate Your Career in 2018"
"REV UP FOR YOUR REVENUE MANAGEMENT"
In conjunction with this meeting, we are asking for your input on Revenue Capability Calibration. We appreciate you taking a short survey! Working intimately with hotels all over the world, Digna M. Kolar boasts a strong global background in hotel operations, revenue management, consulting, and strategic pricing. As the Regional head of Advisor Services, Americas at IDeaS Revenue Solutions, Digna leads the advisory team in the region to assist hospitality companies of all sizes to build and enhance their total revenue performance and price optimization capabilities. In her current role with IDeaS, Digna has successfully partnered with key clients, hotel groups and airport car parks to lead high profile projects in major business cities, resort destinations and key regions. Her successful projects include performance evaluation, strategic planning, process and procedures development, mentorship, change management, organizational re-structure, education and other revenue management related activities. 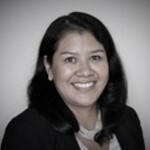 Prior to joining the IDeaS global team, Digna spent 11 years in leadership roles at InterContinental Hotels Group (IHG). Her roles with IHG previously included the regional head of revenue management for Japan and Korea, the Middle East & Africa, as well as the global pricing implementation & business integration manager. Her deep expertise in the deployment and structuring of pricing and revenue management processes allows Digna to help clients build sustainable revenue management cultures in multi-cultural and diverse organizational environments. Digna holds an MBA in Hospitality Management IMHI, a joint program of Cornell University and ESSEC. She is multilingual, fluent in English, French and Spanish, and currently lives in sunny California with her family. Desiree McDonald graduated from ASU with a degree in Recreation Management and Tourism/Hospitality in 1997. She has dedicated her career to hospitality for the last 22 years. The first half of her career was spent with Hyatt Hotels and Resorts working with 4 hotels ranging from Convention Center Hotels to Caribbean Resorts. She worked in Operations and Sales and in 2001 she became the Revenue Manager for the Hyatt Regency Grand Cayman beach resort and has been working in Revenue Management for the last 17 years. In 2006 she joined the corporate team for Best Western Hotels and Resorts. Initially she created and trained revenue management courses and quickly moved into a Regional Revenue Manager role. A year later she was one of the first members of their Revenue for Hire (Property Revenue Management) team. In 2012 she took over management of the PRM team and has spent the last 6 years helping to grow the program from 150 hotels to over 500 hotels and onboarding 40+ Revenue Managers as well as helping to created and implement new reporting, updated systems, and revenue management tools to enable her team to better increase revenues for all hotels. Regional Vice President, Demand360 Data Partnerships| TRAVELCLICK. 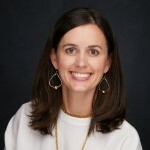 Katie Moro joined TravelClick in 2011 and is responsible for the global expansion of TravelClick's Demand360 product. Katie is a veteran of the hospitality industry and has been involved with the demand initiative since the product's early days. Prior to joining TravelClick, Katie was an Account Manager with Rubicon and led a sales team that focused on product growth in major accounts. She has also held roles at Morgan's Hotel Group and Ritz-Carlton Hotel Company. Katie holds a Bachelor's of Arts from the University of Georgia. 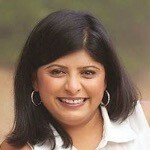 Kavita is a recognized leader in the hospitality industry. She hails from family-operated hotel businesses, but quickly made her own mark in the industry. She began her 20+ year career as a front desk agent for Marriott Hotels and held a variety of roles in hotel operations, event management and sales before leading market management for Expedia as the Area Manager for Northern California. She now serves as the Director of Sales at IDeaS Revenue Solutions where she helps hoteliers challenge the status quo and puts them on a path to achieving breakthroughs in revenue performance. She has a degree in Economics from University of California, Irvine and an MBA from Pepperdine University. She now lives in the San Francisco Bay Area with her husband and two children. Mike Spencer is currently a Tucson-based Senior Solutions Consultant at Infor, the world's third largest business applications company, headquartered in New York City. With over 2 decades of hospitality computer software experience in various roles, Mr. Spencer has an undeniable ability to thrive in fast-paced, constantly changing environments where creativity, flexibility, and accountability are valued. With an extensive knowledge of several Property Management Systems, he has been recognized for his distinguished talent to articulate value within business solutions to achieve customer success within the hospitality industry no matter how large or complex the organization may be. A California native, Mr. Spencer moved to Arizona in the early eighties where he later attended Northern Arizona University's School of Hotel & Restaurant Management bachelors program. Prior to Infor, Mr. Spencer was on the hotel operations side of the spectrum serving as a Food & Beverage Manager for a prestigious AAA Four Diamond resort in Tucson. Wild Horse Pass Hotel & Casino in Phoenix is a premier hotel featuring tastefully appointed rooms with a wealth of amenities...but at a reasonable price. While staying with us, watch for our native wild horses which have roamed free in area desert plains for centuries and a sky full of stars at nightfall. Wild Horse Pass Hotel & Casino is Arizona's premier destination for memorable meetings, successful conferences and distinguished catered events. Our property was designed with groups in mind. Comfortable guest rooms, flexible meeting space and amenities galore adjoining 7 restaurants, live entertainment, nightlife and gaming. Our Four Diamond Awarded facility offers 226 newly refreshed guest rooms and suites along with 12,000 sq. ft. of flexible meeting space. Ideally located at the Wild Horse Pass Destination, less than 15 minutes south of Sky Harbor Airport and minutes from Tempe, Scottsdale and Chandler. Free transportation is offered to our neighboring attractions including 36 holes of Troon Golf, Rawhide Western Town, Aji Spa and Koli Equestrian Center. For additional information, go to https://www.wingilariver.com. so much fun for such a worthy cause! 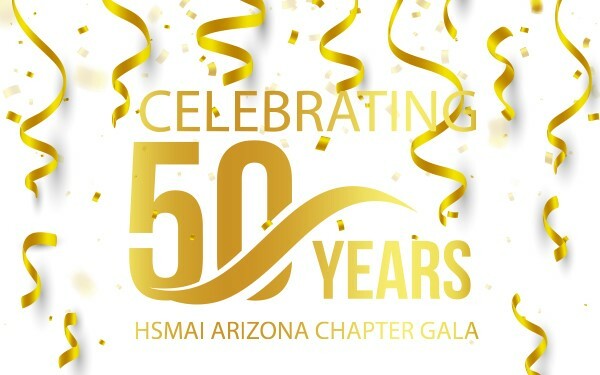 A portion of the proceeds from this event will go to our 2018 "Charity of the Year" - SniffAZ AND to our Arizona Chapter of HSMAI to help support our association's mission and our continuing efforts to provide quality continuing education and scholarships for those professionals currently in the hospitality industry and those who are pursuing a career in the field. Join us for the After Party in J.D. 's Lounge! Complimentary parking is available at the south end of the resort by the ballrooms. The Hospitality Sales and Marketing Association International (HSMAI) is an individual membership organization with more than 7,000 members worldwide. HSMAI is committed to growing business for hotels and their partners, and is the industry's leading advocate for intelligent, sustainable hotel revenue growth. The association provides hotel professionals and their partners with tools, insights, and expertise to fuel sales, inspire marketing, and optimize revenue through programs such as HSMAI ROCET, the Adrian Awards, and the Revenue Optimization Conference. HSMAI is an individual membership organization comprising more than 7,000 members worldwide, with 40 chapters in the Americas Region. More information is at www.hsmai.org. The Arizona Chapter, the second largest chapter in the U.S. is celebrating its 50th Anniversary in 2018. The chapter was recently honored as the 2015-2016 Chapter of the Year and is the recipient of the most "Chapter Awards of Excellence" in the history of HSMAI. Membership is 240+ members strong, and is comprised of General Managers, Directors of Sales, Sales Managers, Revenue Managers, and Student Members. The chapter offers members a variety of education programs, community volunteer opportunities, leadership and professional development opportunities and a variety of networking and special events. SniffAZ - a 501(c)3 organization - is an all-volunteer, non-profit organization known in our community as an efficient channel for moving charity dollars into spay/neuter service providers to provide free surgeries. Our efforts drive a reduction in unintended litters, thus reducing space-related euthanasia rates. SniffAZ is thrilled to be HSMAI's chosen 2018 charity "The Year of the Dog." You can find out more about our organization at sniffaz.com. An authentic Arizona experience awaits at the Scottsdale Plaza Resort, where 40 lush acres and 50,000 square feet of flexible event space provide a perfect, palm-lined retreat for family getaways, business meetings and milestone celebrations. Five pools, a full-service salon and day spa, and nearby championship golf set the stage for memorable experiences framed by elegant Spanish Mission-inspired architecture, fragrant gardens filled with desert flowers, and stunning views of Camelback and Mummy Mountain. Blur the lines between business and leisure with five swimming pools, championship golf, pampering spa treatments, and local Southwestern cuisine. 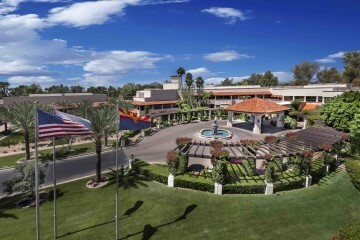 Framed by Camelback and Mummy Mountain, The Scottsdale Plaza Resort features 40 acres of flowering gardens, elegant Spanish-inspired architecture, and 50,000 square feet of event space, perfect for family vacations, wedding festivities and corporate retreats. There is a reason why so many groups choose to gather at The Scottsdale Plaza Resort for their milestone meetings and events. We remember every detail it takes to make your meeting a success, right down to your CEO's favorite drink. Our award-winning planning and catering teams will design your banquet, sales conference, or training seminar with the flexible and resourceful spirit that it takes to ensure a completely unique and personalized experience. The idea of the auction is to provide each guest with a list of items (ranging from dinners and trips to golf outings) and a numbered stick. Each table is supplied with a bucket that is placed in the middle. Starting with the number one item, the auctioneer describes that item and asks the guests who are interested in bidding on this item to toss a quarter or quarters in the bucket. The guest then holds their stick in the air. The auctioneer calls out the sticks that are held up. A gonger (who cannot see or hear what is going on) is responsible for hitting the gong after a few seconds. The last number called out when the gong is rung has won that prize and goes to the stage to claim it. This sequence of events goes on throughout the evening until all prizes are gone. Over the years, a silent and live auction have also been added to the event. 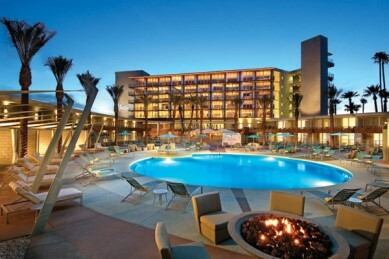 This event has won numerous awards including a 2014 and 2015 "Stars of the Industry" Award from the Arizona Lodging and Tourism Association and several "Awards of Excellence in Association Management" from the Arizona Society of Association Executives and the 2015-16 Frank W. Berkman "Best of the Best" award from HSMAI. "INFLUENCER SALES ... A NEW APPROACH"
Everybody hates to be sold but loves to buy. Sellers today need to position themselves as trusted advisors, thought leaders and influencers in order to close more sales. But how exactly? Bonus - introducing Arthur - your own digital assistant, making his first appearance for HSMAI-AZ! Holly is a full stack web developer with an extensive background in hotel sales and marketing. She is an accomplished leader known for training, developing and coaching talent as well as maintaining strong customer relationships by finding best-fit solutions to increase sales. She spent the first 15 years of her career running hotels for Hospitality Partners and the last ten years developing programs to help hotels increase their sales through digital marketing and employee training at Signature Worldwide. 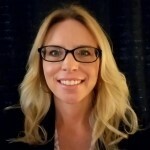 Holly is currently the VP of Technology Resources for Hotel Digital Marketing and also is the Co-Chair for the HSMAI Marketing Advisory Board AND Director of Communication for the HSMAI Arizona Chapter. Learn more about Holly by clicking here. Situated in the residential corridor of Roosevelt Row you will find this boutique hotel called FOUND:RE. Relax and unwind from a busy day in the outdoor pool, or enjoy an amazing cocktail in Match lounge. Our hotel offers all of the amenities you will need, whether business or leisure. The hotel is filled with local art, which is changed frequently and all for sale! And don't forget about our restaurant Match, featuring menus from our multiple Michelin Star and James Beard Award winning chef. More information is available at https://foundrehotels.com/. Great Raffle Prizes * Awards Luncheon and More! JOIN US FOR A GREAT DAY OF GOLF! These leading associations - the Arizona Sunbelt Chapter of Meeting Professionals International and the Arizona Chapter of the Hospitality Sales & Marketing Association International - have joined forces for the eighth year in a row to provide members of the Arizona meeting and hospitality industry a day of great golf on an award winning course, followed by a lunch and an awards celebration. The funds from this tournament will help to support our associations' continuing efforts to provide quality continuing education and scholarships for those professionals currently in the meeting and hospitality industry and those who are pursuing a career in the field. Once again, we would greatly appreciate your participation. For more information on MPI Arizona Sunbelt Chapter go to: MPI-AZ.org. On behalf of our Golf Tournament Committee and our Board of Directors, we thank you in advance for your participation and support!!! The Resort is offering a special rate of $79 to stay overnight. This includes six wristbands to the Oasis Waterpark. Click here for details and room registration. "Destination Roadmap - Your Path to Success with Arizona's Destination Specialists"
What are you doing to help drive leisure travelers to your City in 2019? What can hotels/business do to better collaborate with you? Mr. Heaton is responsible for the day-to-day oversight of the operations, sales and marketing, revenue management, finance and human resource departments at the Doubletree Resort by Hilton Paradise Valley-Scottsdale and the Hilton Scottsdale Resort & Villas. 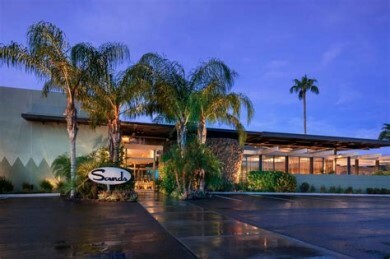 He has been at these two AAA Four Diamond resorts in Scottsdale, Arizona, and with TPG Hotels & Resorts for ten years. Doug is a forty-year veteran of the industry. Prior to joining TPG in Scottsdale, he worked for thirteen years in the capacity of General Manager and Complex General Manager at multiple Doubletree Hotels for Hilton Hotels. Prior to that, he worked in General Manager and Regional Manager positions at Cavanaugh's Inns (now Red Lion). Doug is very active in the tourism community, serving as Chairman of the Valley Hotel and Resort Association for the last five years and is currently on the Executive Committees for Experience Scottsdale (CVB) and the Arizona Lodging and Tourism Association. He was presented the "Hilton Leadership Award" by the Hilton Arizona Cluster in 2013 and the "Outstanding General Manager of the Year" award from the Washington State Hotel and Motel Association in 2000. Doug earned his Bachelor of Science Degree in Political Science and Prelaw from the University of Washington in Seattle. He attended two years at the University of Puget Sound School of Law in Tacoma, Washington. He worked in hospitality during all his school years and when he started to work as a legal intern in his second year of law school, he determined he preferred a career in hospitality management. He has never regretted that decision. Alleson Dunaway is the Destination Services Manager for Experience Scottsdale. Originally raised in Scottsdale, Alleson did not realize how passionate she was about her desert town until she left for the Midwest during college. Four winters later, Alleson learned Arizona is where she wanted to be. Once returning, Alleson spent four years working with Hello! Arizona, Destination Management where she learned the ins and outs of meetings and events; planning events for large corporations such HP and Pfizer. She joined Experience Scottsdale in June of 2014 (formerly the Scottsdale Convention and Visitors Bureau) and now uses her talents to connect planners bringing their events to Scottsdale to her network of local professionals who will go above and beyond to make their meeting a success. She prides herself on her deep knowledge and expertise of the Scottsdale market and her relationships with the key players who drive the success of Scottsdale tourism. Kimberly Forest joined Visit Mesa in October 2012 to lead the sales and marketing efforts of Arizona's third-largest city, Mesa, Ariz. Currently serving as Senior Vice President of Sales & Marketing, Forest's key responsibilities are to position the destination as the state's premier business and leisure travel destination. Forest previously served as the Travel Industry Sales Director at the Greater Phoenix Convention & Visitors Bureau (2007-2012) where she directed all Travel Industry Sales activities for Arizona's capitol city. Forest is a current member of the U.S. Travel Association Destinations Council Board of Advisors. Accomplishments at Visit Mesa include overseeing the rebranding of Mesa and the award-winning ‘City Limitless' regional marketing campaign which established Visit Mesa as the visitor industry leader and steward for the Phoenix-East metropolitan area (2013). Under Forest's direction, the bureau received the Urban Innovations Award from the Arizona Governor's Tourism Conference (2014), as well as the international and prestigious Adrian Award by Hospitality Sales & Marketing Association International (2014). In 2015, Visit Mesa was awarded the WebAward for Outstanding Website in the Travel Category by Web Marketing Association. In 2017, Forest accepted the Destinations Council Destiny Award for Digital Campaign, featuring Visit Mesa's revolutionary 360° videos. Forest led the charge on developing the videos which promoted Mesa's lifestyles and provided visual, immersive experiences that were delivered to consumers on mobile devices. 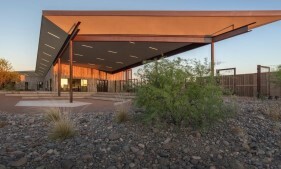 Forest directs Visit Mesa's program of work for sales and marketing, and continues to oversee the organization's evolving branding efforts and serve as the organization's key liaison with Mesa's key stakeholders. Her strengths include product development and Forest has spearheaded the organization's online booking capabilities and vacation packaging opportunities for Mesa hotels and attractions. Forest's strong relationships with strategic partners include East Valley Partnership, Phoenix-Mesa Gateway Airport, Allegiant, Southwest Vacations, British Airways Holidays, Tourico Holidays, as well as numerous international travel trade operators. Throughout her career, Forest has demonstrated solid performance related to increased bookings and has developed numerous destination campaigns directly targeting the leisure traveler. Recently, Forest has led efforts to expand Visit Mesa's marketing to the lucrative Pacific Rim market, leading a delegation oversees to a three-city mission in China. Forest has spent more than 14 years marketing the Arizona destination experience and held sales management positions for luxury-brand destination resorts and attractions in Scottsdale, Phoenix, Los Angeles, Anaheim and Orlando. Previously held positions include Vice President Development & Sales for Florida Vacation Stores; Director of Wholesale Sales for Universal Studios Hollywood; and Corporate Director of Leisure Sales for Tiburon Hospitality. Melissa is Vice President of Marketing, Tourism & Communications for Visit Phoenix. Her job is overseeing the organization's website (VisitPhoenix.com), advertising, social media and email marketing efforts as well as travel trade and media relations. She started with the organization more than 16 years ago as an assistant in the membership department. Prior to her leap into the travel industry, Melissa worked in the in-house marketing department of a family-owned retail clothing chain where her claim-to-fame (at least in her eyes) was writing copy for an ad that appeared in Martha Stewart Living. In the office, Melissa is a cheerleader for her team's efforts in the ever-changing world of marketing and social media. And in her personal life, you'll find her Facebooking and Instagraming about her passions -- animals, books, local restaurants and boutiques, and of course, travel. 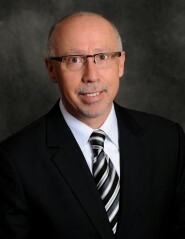 Michael Martin is the Executive Vice President of the Tempe Convention & Visitors Bureau (dba: Tempe Tourism Office). An Arizona native, he graduated from Arizona State University with a bachelor's degree in Recreation Management with an emphasis in Tourism Marketing in 1992. During his 26 years at the Tempe Tourism Office, his responsibilities have included group sales, special event management, sponsorship recruitment and tourism marketing. In his current role, he is responsible for the tourism marketing activities for Tempe, including the oversight of the Tempe Tourism website and all advertising campaigns. He also manages the relationship with Davidson & Belluso, the Tempe Tourism Office's advertising and marketing agency on record. Michael produces grant funding applications, the Marketing Plan, the Annual Report and he directs the marketing budget. Michael also is a past member of the Alliance for Audience Board of Directors, the ASU Art Museum Creative Impact Board and the Greater Phoenix Gay & Lesbian Chamber of Commerce Development Board. 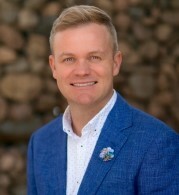 He is a member of the ASU Alumni Association, Destination Marketing Association of the West, US Travel Association and a frequent guest speaker at Arizona State University. "ARE YOU SMARTER THAN A HOSPITALITY/TOURISM STUDENT?" What happens when you team up Sales, Marketing and Revenue Management Professionals against the hospitality leaders of tomorrow? Join us for a fun afternoon of food and entertainment at Modern Grove overlooking Dolphinaris! We'll be putting our industry professionals to the test and see if they "Are Smarter than a Hospitality Student." We will be making a play on the "Are you Smarter than a 5th Grader" game show! This fun program is intended to help connect industry professionals with local university and college students who are studying hospitality sales, marketing and operations. It also allows hospitality students to go head-to-head with industry professionals, demonstrating their knowledge and personalities to the local hospitality community. And our fabulous Master of Ceremonies - Oscar Mastrantuono with NCG Hotels! What are the 5 C's of Arizona's Economic Success? If a hotel is running an average rate of $189 and an occupancy of 75%, what is that hotel's REVPar? To find out the correct answers you need to join us at our upcoming November event - Are you Smarter Than a Hospitality Student! Bring your team and see who will win - The industry professionals OR the hospitality students! In conjunction with this event, our Community Outreach Committee will be collecting used blankets/towels and dog and cat food for our 2018 "Charity of the Year" SniffAZ/Arizona Pet Project. Thank you! You won't want to miss the event of the year! We will be celebrating 50 YEARS of excellence and history. The evening will include our annual awards presentation and installation of our 2019 Board of Directors. In addition we will be stepping back in time with wonderful memories and honoring our illustrious Past Presidents, Leaders, Volunteers and Chapter Members. We want as many past presidents and past members in attendance as possible ... so, help spread the word! The Hotel Valley Ho is offering us a great rate to stay overnight. In order to get the discounted rate of $139 (resort fee is waived) you can make your reservation by calling 877-587-8013. The code for our room block is "HSMAI." 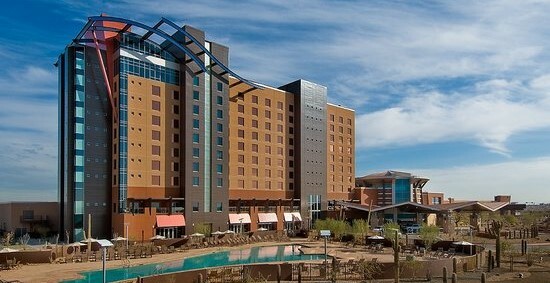 Nearby Hyatt Place Scottsdale-Old Town is also offering a special rate of $89 to stay overnight. Go to www.hyattplacescottsdaleoldtown.com and type G-GALA in the group/corporate # box. The HSMAI Holiday Gala rate will come up and they can book online. Or, individuals may also call 888 HYATT HP (888-492-8847) and either ask for HSMAI Holiday Gala rate or group code G-GALA. Celebrity Tux and Tails is extending a discount to our guests. A basic black tuxedo with shoes will be $79.95 or 20% off any other rental. Call Larry at 602-258-1462. There is plenty of parking near the ballroom or you can valet park at entrance of hotel. Originally opened on December 20, 1956, Hotel Valley Ho has classically cool roots and stands as a modernist icon in Downtown Scottsdale. Owned by John B. Mills, along with Robert Foehl and his wife Evelyn, it was built on the belief that "the important thing is to make your guest feel wanted." The architect, Edward Varney, was known for his cool, minimalist style. Hotel Valley Ho was a true Hollywood hideaway in its heyday, host to Bing Crosby, Tony Curtis, Janet Leigh and Zsa Zsa Gabor, among others. Celebrities loved that the paparazzi would not follow them to Scottsdale. Ramada acquired the hotel in 1973 and renamed it "Ramada's Valley Ho Resort." Over the years, some of the classic design elements were altered and the hotel lost its luster. In 2002, the property went up for sale. Local company Westroc Hospitality worked to restore the hotel to its mid-century splendor and continues to manage operations. Reopened on December 20, 2005, Hotel Valley Ho shines brighter than ever with notable additions including ZuZu, VH Spa, and the OH Pool. Named "one of the best-preserved mid-century hotels in the country" by author and architect Alan Hess, Hotel Valley Ho is the place where your cool comes out to play. Additional information is available at https://www.hotelvalleyho.com. "Think Different. Sound Different. SELL Different!" Presented by Bob Anderson, President, Star Performance, Inc.
Join HSMAI members and guests as we kick off 2019 with a bang! Bob is a business coach, a results driven trainer and a new business development consultant to the hospitality industry and has been in business for over 25 years. His unique approach to sales training through his Building the Sales Pipeline, Building the Culture of Service and Point of Contact Reservations Selling systems are producing huge up-side results for his many customers. A featured speaker whose entertaining and upbeat presentation style has earned him rave reviews by many hospitality organizations, Bob develops and implements all training programs for Star Performance, Inc.
Bob was awarded the honor of being selected as one of the Top 25 Extraordinary Minds in Hospitality Sales, Marketing and Revenue Management by HSMAI in 2015. Bob has been married for 32 years and has three wonderful children. When not conducting training seminars and webinars, he likes to read, work out and play hockey. 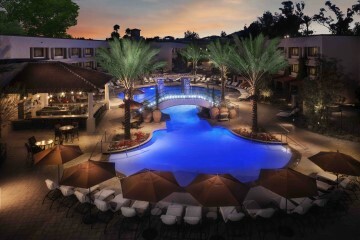 More information is available at http://www.scottsdaleplaza.com/the-resort/. Come mix and mingle with fellow HSMAI members and guests at one of Scottsdale's most popular restaurants. This event will be the perfect blend of members, chapter leaders and other professionals from the meeting hospitality industry. So, whether you are an existing HSMAI member OR interested in learning more about our association, this is the event for you! Heavy Hors D'Oeuvres and great camaraderie will be provided for this fun-filled evening. Cash bar is available. Complimentary parking available and plenty of self-parking. REGISTRATION IS LIMITED ... REGISTER TODAY! In lieu of purchasing a ticket for this event - we are asking that you bring donations for our 2019 "Charity of the Year" Arizona Pet Project. We will be collecting pet food for both dogs and cats, wet and dry accepted. ALL pet supplies welcome, even used items, to include old pet toys, beds, etc. 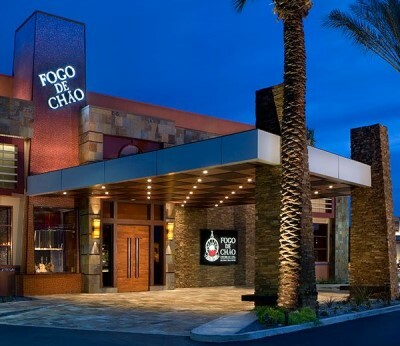 Fogo de Chão's Scottsdale location, with its grand cobalt blue tower and signature churrasqueira grill visible to passersby, stands supreme in the city's dynamic and diverse restaurant scene. Located in the heart of the city near the popular Scottsdale Fashion Square, this internationally renowned steakhouse welcomes guests to a memorable and elegant dining experience. More information is available at https://fogodechao.com/location/scottsdale.